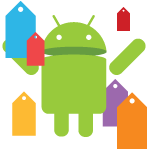 Welcome, frugal readers, to another edition of Saving Money with Android Police, a sometimes daily series where we deliver the latest and best deals to hit the Play Store. Today's episode brings a few big names to the table, along with some incredibly utilitarian applications and a couple of good games for killing time. Without further ado, here's the skinny. There, now you can buy yourself a plaque with all that money you saved.